The Senate and Assembly passed the budget bills comprising the $138 billion budget Monday and the Governor has signed them into law. 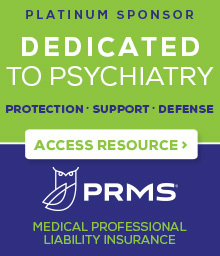 NYSPA is proud to report that it achieved many favorable outcomes, including the defeat of efforts to eliminate prescriber prevails in Medicaid, prior authorization requirements for off-label prescribing in Medicaid, as well as a proposal to allow for the establishment of retail clinics (without a statutory exclusion for providing mental health services), while also securing an additional $450,000 in funding for the Veterans’ Mental Health Primary Care Training Initiative, conducted by NYSPA, MSSNY and the National Association of Social Workers – NYS, and major out-of-network insurance reforms. For nurse practitioners in practice for less than 3,600 hours, the current law – requiring a written practice agreement and protocols with a collaborating physician of the same specialty – remains unchanged. NOTE: The final budget rejected the Governor’s proposal authorizing nurse practitioners with more than 3,600 hours to collaborate with other nurse practitioners, under certain circumstances. This will take effect January 1, 2015 and will sunset on June 30, 2021. Require insurers to describe their out-of-network coverage as a percentage of the usual and customary cost and defines “usual and customary cost” as the 80th percentile of “of all charges for the particular health care service performed by a provider in the same or similar specialty and provided in the same geographical area as reported in a benchmarking database maintained by a nonprofit organization specified by the superintendent.” This appears to refer to FAIR Health. Along these lines, it is important to note that a proposal to sunset the definition of usual and customary cost was not included in the final budget. Require insurers to make available a policy that covers at least 80% of the usual and customary cost if the insurer issues “a comprehensive group or group remittance health insurance policy or contract that covers out-of-network health care services.” NOTE – This goes even further than what the Executive proposed, which was 70 percent of usual and customary. Require all health insurance to maintain adequate networks and afford individuals enrolled in all health products to receive treatment from a specialist who is qualified to treat a patient’s particular condition if the insurer’s network does not include an appropriately qualified specialist. In addition, individuals will now have an external appeal right. An out-of-network reimbursement work group, consisting of nine members appointed by the Governor to prepare a report with recommendations for an alternative rate methodology by January 1, 2016. The nine members of the work group, co-chaired by the Commissioner of Health and the Superintendent of the Department of Financial Services, would include two physicians, two representatives of health plans, and three consumers. The new law is effective one year after it is signed into law and shall apply to policies renewed on and after that date. The new disclosure requirements will go into effect one year after enactment.